If you're looking for some more formal and classy Halloween party announcements, then check out this handpicked, elegant Halloween party invitations collection. Impress your guests with these Halloween templates featuring decorative frames and borders, and sophisticated script fonts. Here you can find a creepy collection of Zombie themed Halloween party invitations and announcements. You can add text and photos to both sides of any of those invites for free! Here you can find a selection of cute and quirky Halloween baby shower invitations, which are perfect to sent out to your family and friends! Celebrate both occasions with these high quality and "easy to personalize" announcements. A unique selection of Halloween Bridal Shower Invitations, featuring many creative pumpkin, haunted house, vampire, skull & bones and wicked witch designs! No minimum order and you can save money when ordering 25 or more invites! Organizing a pumpkin-carving party this Halloween? Then you've got tons of fun Halloween Pumpkin Carving Party Invitations and Announcements to choose from! These Haunted House Halloween invitations will suit anyone, whether they're big or small. Easily add all the necessary info to your chosen invite, hit the "add to cart" button, and that's it. 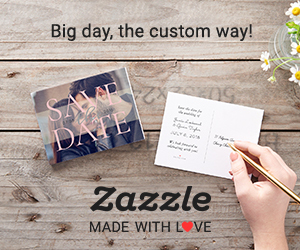 Now you can relax, because your personalized invitations are on their way! If you are looking for some spooky invitations to announce your upcoming wedding, you in the right place. Choose from many types of Halloween wedding invitations, from skeleton and Gothic designs through to fake blood and vampire themed templates. If you are looking for a MOD & a stylish Halloween party invitation, here you can find a selection of modern typography Halloween party announcements which should easily fit the bill. These invitations are available in many different paper types and sizes. Great discounts (up to 50%) on most bulk orders all year round. A spooky collection of Vintage Halloween Costume Party Invitations and announcements, featuring antique skulls, creepy monsters and vintage ticket style designs. Great price reductions on most bulk orders all year round! Celebrate your child's special day with these great Halloween birthday party invitations. You can also add a photo to some of the designs to make them look really special!